Dakar has a population estimated at 1.2 million with a rapid growth rate of 4%. The city is built on a peninsula with very little remaining land for urban development and so a lot of development is upwards. Due to lack of records and poor tax base identification only about 15% of the potential tax is currently collected. The challenge, therefore, is to support the city to generate the municipal revenue required to fund further urban services and infrastructure. The solution provided compares very high-resolution stereo imagery from the Pléiades satellites acquired on different dates. The imagery consists of an optical image as well as a height component (Digital Surface Model) to enable change detection of building growth (both horizontally and vertically). Therefore, for each land parcel, indicators of change identified in the satellite imagery will assist in the city’s land administration process and in particular to enable the Operational Maintenance of a Property Database to support property tax revenues. 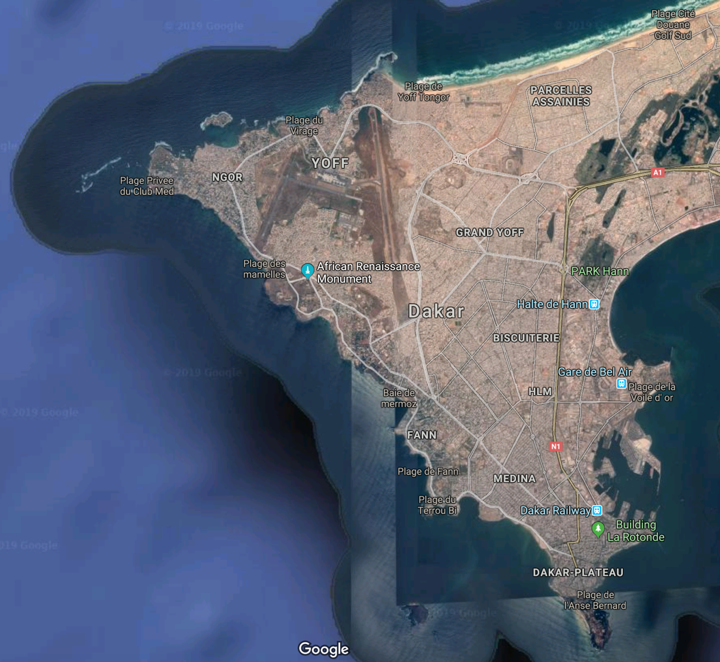 Airbus was successful in proving that the solution could map areas of property change in Dakar with a potential for generating around €73 million annual tax revenue for Dakar. Airbus is continuing discussions with the national government for funding an expansion of the service in Dakar and other Senegalese cities. Airbus has identified interest from other African cities including Accra, Nairobi, Addis Ababa, Abidjan and Kampala. In October 2018 the UK Space Agency and Caribou Space visited Dakar with Airbus. A multi-stakeholder workshop was hosted with a range of government organisations, including representatives from: the Ministry of Economics, Finance and Planning (including the principal stakeholders: the Cadastre Unit of the General Directorate of Taxes and Lands (DGID)); the Ministry of Higher Education and Research; the Municipal Development Agency; the National Mapping Directorate, which is part of the Agency for Spatial Planning; the State Informatics Agency; and, the Executive Council of Urban Transport in Dakar. A separate ministerial briefing with the Ministry of Higher Education and Research was supported by the British Ambassador to Senegal and, finally, a wrap-up was held with senior staff from DGID.